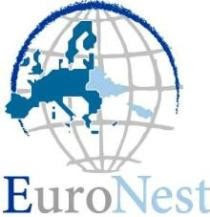 EuroNest: Is Armenia Russia's Partner Or Pawn? 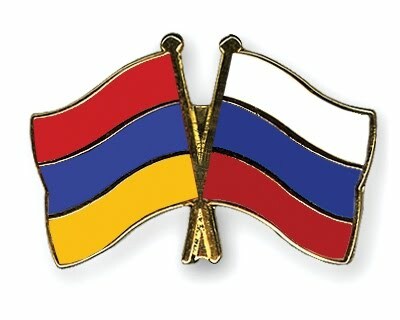 Is Armenia Russia's Partner Or Pawn? Two years after the brief but destructive war between Russia and Georgia, Moscow has further consolidated its power and influence in the South Caucasus by concluding a modified defense agreement with Armenia that significantly extends the lease for Russia's largest military base in the region. Most small states are compelled to look to large powers for security, and Armenia is no exception. For a small country like Armenia, which is doubly landlocked -- with no outlet to the sea and with two of its four borders closed -- security concerns are paramount to national survival. In large part reflecting this reality, Armenia has been driven ever closer to Russia. In the broader context, Armenia's embrace of Russia comes as no real surprise. But the Armenian-Russian "strategic partnership," as hailed by Armenian officials, has become defined more by a dangerous degree of Armenian overdependence than by an equitable alliance. And Russian dominance over Armenia has only increased in recent years, as Moscow has acquired outright control over many strategic sectors of the Armenian economy, from energy to transport. The asymmetry of the Armenian-Russian relationship was most recently evident in the signing of a modified security accord during a visit to Armenia by Russian President Dmitry Medvedev. Signed on August 20, the agreement is seriously flawed, however, and has sparked criticism within Armenia for four main reasons. First, the terms of the newly modified basing agreement are both unusual and questionable. The agreement resulted in the extension of Russia's sole military base in the region by another 24 years, to 2044. The initial agreement, signed in 1995, granted Russia the right to maintain its military base at Armenia's second-largest city, Gyumri, along the Armenian-Turkish border, and was not due to expire until 2020. Despite the stationing of a small squadron of MiG-29 aircraft and S-300 missile-defense systems at the base, the facility is rather insignificant in purely military terms, with its roughly 3,000 Russian personnel mainly serving as a "trip-wire" to any attack from NATO-member Turkey. Moreover, both the military posture of the Russian presence and the mission and mandate of the base are based on "threat misperception," reflecting an outdated and now inappropriate Soviet-era doctrine. Nevertheless, the Russian base in Armenia provides a firm foothold for the Russian presence and offers Moscow an attractive potential platform for power projection. But it satisfies Russian interests that only happen to coincide with Armenia's perception of insecurity. But perhaps most insulting for Armenia, the base is the only such facility where the host country not only foregoes any form of rent or payment but has agreed also to pay all operational costs and expenses of the facility. While other countries, such as Azerbaijan and Kyrgyzstan, receive lucrative annual payments in return for hosting Russian military facilities, Armenia is a clear loser. Second, the modified Armenian-Russian defense accord offers Armenia little in the way of any clear military advantage. Despite the agreement's formal declaration to "ensure the security" of Armenia and promises to provide "modern compatible weaponry and special military hardware" in the future, Russian Foreign Minister Sergei Lavrov openly admitted there would be "no real or functional change" to the mission or mandate for the Russian base. Speaking in an interview on Armenian television prior to the signing of the agreement, Lavrov also dismissed Armenian concerns over the pending sale of S-300 air-defense systems to Azerbaijan by noting that they are "defensive weapons designed to protect a territory from external missiles," adding that Moscow would "never supply arms to regions where such supplies may destabilize the region." Beyond such vague pledges of support in the event of attack, this Russian security pledge does not bolster Armenian security in any concrete sense. If anything, it only reinforces the impression that Armenia has been steadily mortgaging its own national security in return for short-term and meager returns. The agreement has been defended by Armenian officials as providing an important deterrent to Azerbaijan, which Armenia accuses of launching two military attacks in recent months, beginning with a successful probe of Armenian defensive positions along the Line of Contact separating Nagorno-Karabakh from the rest of Azerbaijan. The most recent skirmish, an August 31 assault by Azerbaijani forces that was successfully repelled, demonstrates that the accord does little to deter Azerbaijan from considering the use of military force to "resolve" the Karabakh issue. In fact, this third problem with the Armenian-Russian security agreement centers on a flawed premise -- that it provides greater security for Armenia. A fourth shortcoming in the agreement stems from its broader implications for Armenian statehood. The agreement is widely seen as yet another dilution of Armenian independence and sovereignty, especially as the accord may also expand the role of the approximately 2,000 Russian border troops in Armenia. Since the onset of independence, it has actually been Russian border troops that have secured Armenia's border with Turkey. And this latest agreement may deal a further blow to Armenian sovereignty by deploying additional Russian border guards to Armenia's other borders, with Iran and Georgia, if not Azerbaijan. A Soviet-era legacy, yes, but it is clearly also a liability for any independent state.